Photo courtesy of Bob Travis, shared via a Creative Commons license. A friend in Charlottesville was just telling me about this last week, Jim – looks pretty cool, and truthfully, I’m a little jealous. Looking forward to the day when Blacksburg has a vibrant common area that’s TRULY focused on the residents. Okay, so I’m a little more than jealous. 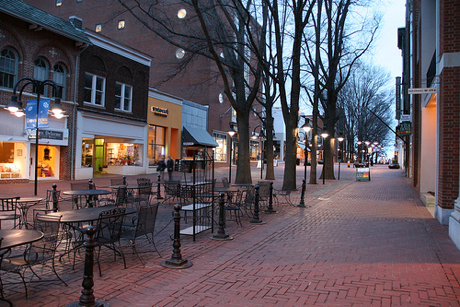 My next trip to Charlottesville – how about a meetup here? What a beautiful street scape. I could picture myself sitting at a table having a cup of tea! I love outside eateries reminds me of Paris.